Biometrics is becoming mainstream among millennials. Although younger adults are putting less care into traditional password hygiene, they are more likely to use biometrics, multifactor authentication and password managers to improve their personal security. This is according to IBM's Security's Future of Identity Study, which analyses consumers' viewpoints about the way they authenticate themselves online. The study reveals that in an era where personal data is no longer private, people are prioritising security over convenience and embracing new methods like biometrics. "Online users now prioritise security over convenience when logging into applications and devices. Generational differences also emerged showing that millennials are moving beyond passwords. While 75% of millennials are comfortable using biometrics today, less than half are using complex passwords, and 41% reuse passwords. Older generations on the other hand, showed more care with password creation, but were less inclined to adopt biometrics and multifactor authentication," according to the study. With millennials quickly becoming the largest generation in today's workforce,these trends may impact how employers and technology companies provide access to devices and applications in the near future, notes the study. Overall, respondents recognised the benefits of biometric technologies like fingerprint readers, facial scans and voice recognition, as threats to their digital identity continue to mount. The IBM Security: Future of Identity Study surveyed nearly 4 000 adults from across the US, Asia Pacific and Europe, to gain insight into consumer viewpoints around authentication. "In the wake of countless data breaches of highly sensitive personal data, there's no longer any doubt that the very information we've used to prove our identities online in the past is now a shared secret in the hands of hackers," says Limor Kessem, executive security advisor at IBM Security. "As consumers are acknowledging the inadequacy of passwords and placing increased priority on security, the time is ripe to adopt more advanced methods that prove identity on multiple levels and can be adapted based on behaviour and risk." Furthermore, the study found biometrics is becoming mainstream, with 67% of users saying they are comfortable using biometric authentication, while 87% say they'll be comfortable with these technologies in the future. Another 44% ranked fingerprint biometrics as one of the most secure methods of authentication with passwords and PINs being seen as less secure (27% and 12% respectively). According to the latest tech predictions from virtualisation company Citrix, 2018 will be the year where we see the death of the password. 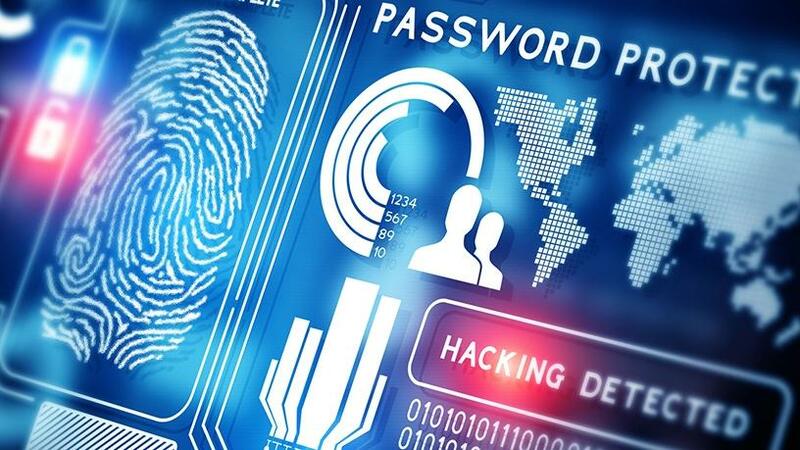 The firm notes that a wide variety of authentication methods will be introduced that will replace passwords, including biometrics, behaviour analytics and the like. "The amount of security breaches will accelerate to record heights which will force companies to abandon traditional passwords as a way to protect accounts," says Brendan McAravey, country manager at Citrix South Africa. A Visa survey conducted by AYTM Market Research found that among the 500 South Africans surveyed, 72% revealed they are interested in using biometrics to verify identity or make payments. "New forms of authentication, such as fingerprint, facial and voice recognition, can make unlocking accounts and payments more convenient than traditional passwords or PINs," notes the study.